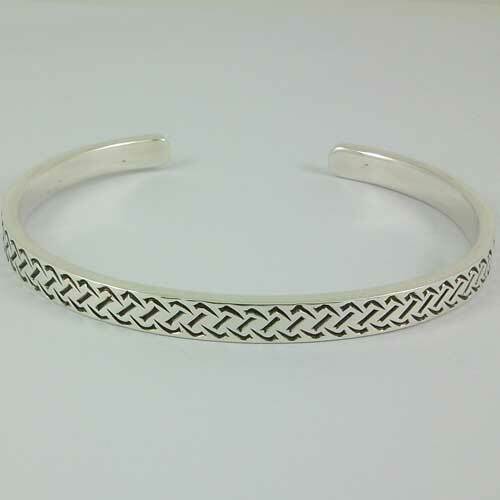 Sterling silver torc unisex bangle. Design by N MacPherson Hebridean Jewellery. Modern design torc. Hallmarked at the Edinburgh Assay office supplied with presentation box. I bought this for my sons 21st and he loves it , always wears it. The presentation box helps make a nice gift even better. The only thing I would say is that it is a little narrower than I expected. But very well made and a lovely item none the less. Very good would purchase from here again.